It’s amazing what you can get out of a tin of chickpeas. For a special lunch (that even works for vegans or allergy sufferers) why not serve these with avocado and the drained chickpeas. You can even make dessert meringues out of the remaining whipped chickpea water (aquafaba). Or, like me, you can scoff straight from the oven. Soak chia seeds in water for 10 minutes, swishing occasionally. Meanwhile whip the water from a can of chickpeas and cream of tartar for 7 minutes, until stiff. 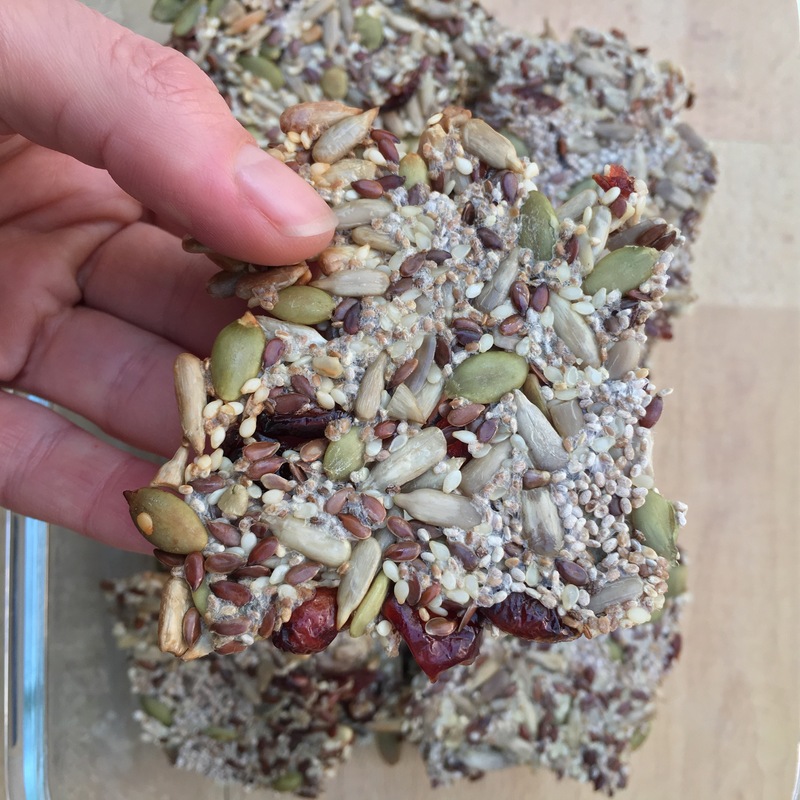 Mix sunflower seeds, pumpkin seeds or cranberry and seed mix, sesame seeds, soaked chia and 3/4 cup of the whipped chickpea water. Press onto 2 large greased baking trays. Bake 180/350 for 7-10 minutes, or until golden. Slice when warm and …ta da! Optionally, you can dry further in the warm oven and then store airtight, if they don’t get devoured immediately.